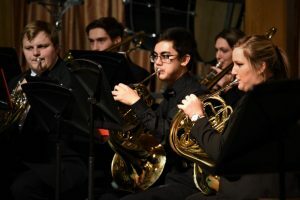 The Olivet College Wind Ensemble will perform Thursday, April 11 at 7 p.m. The event will be held at the Olivet Congregational Church, 125 College St., Olivet, Michigan. There is no cost to attend. For more information, contact Jeremy Duby, director of bands, at 269.749.7158 or jduby@olivetcollege.edu. Contact the Office of Admissions at 800.456.7189 or admissions@olivetcollege.edu to learn more about Olivet College.